I have one Gray with white ears and one white with gray ears in Child size done and ready to ship. There is still time if you want it before Easter. ** IMPORTANT ** – Measure your child's head to ensure that the hat will fit. If the size hat you are ordering based on circumference doesn’t match your child’s age, please let me know in the notes section at checkout. That way I can make the circumference of the hat the needed size but adjust the height of the hat to better fit their age. 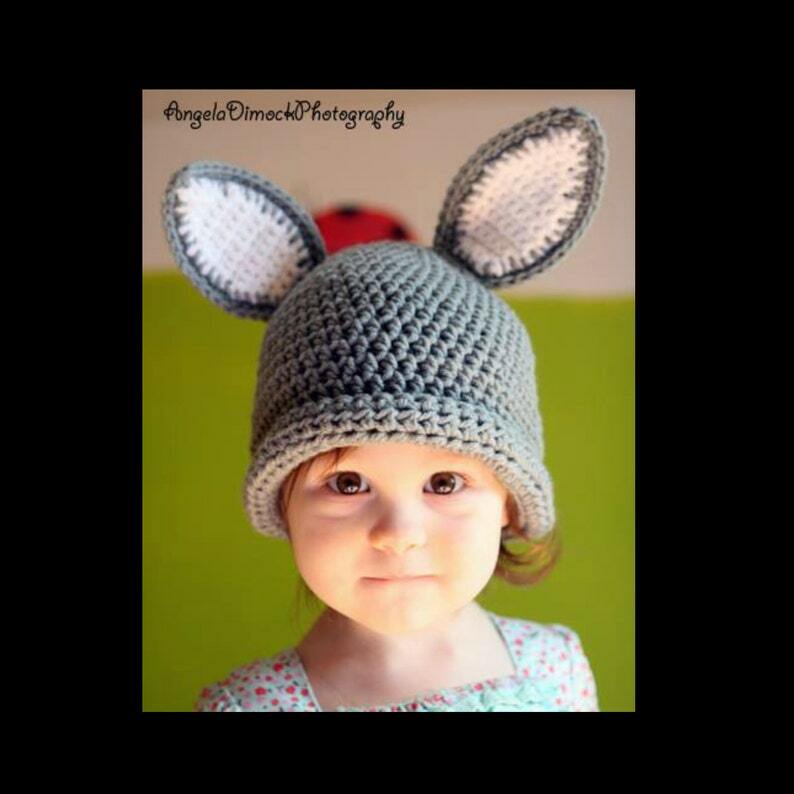 The hats do stretch to an additional 1” to 1 ½” larger then the circumference size to allow for growth. Made lovingly in a smoke free home with Durable Acrylic Yarn. Hand Wash , Lay flat to dry. Handmade in the USA. Items are made to order so please allow up to 2 weeks for delivery (although this is worst case scenario). Find me on FACEBOOK for new items, updates and coupon codes. Please note that actual colors may vary slightly due to variance in computer screens and dye lots. Remember - this item will be handmade especially for you - your hat may not look exactly like any others!